When you support Father Joe’s Villages, you support kindness without judgment, forgiveness for those lost in the darkness, and love for the sick, the poor and the hungry. 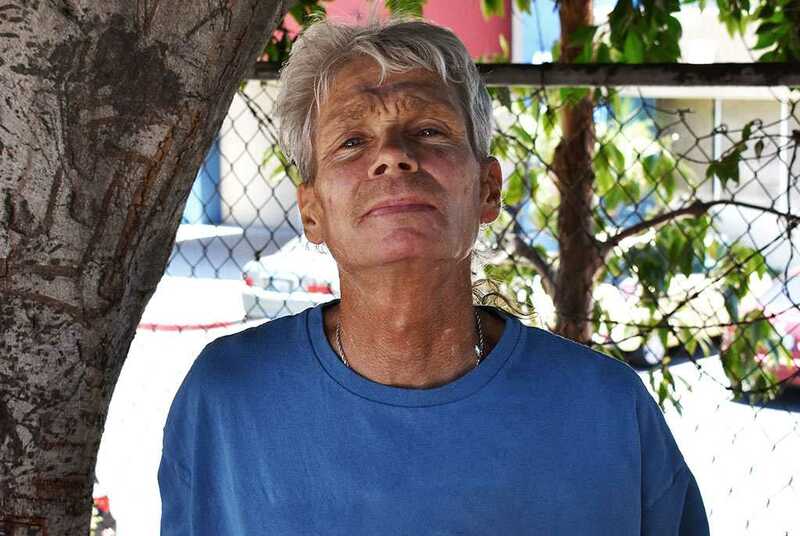 Your compassion allows us to save lives and offer new light to neighbors like Chuck. Chuck has been an addict for over 40 years, starting when he was just 12 years old. At 12, the part of the brain that controls reasoning and impulses is still maturing. Unfortunately, this means drugs can have an even greater effect on a preteen’s developing brain. Luckily, Chuck had an incredibly loving mother and brother, Charlie. For decades, they worked to help Chuck get sober. Despite their best efforts, Chuck’s addiction persisted. Eventually, drug use made it impossible for Chuck to find employment, maintain housing or even take care of himself. His addiction to narcotics led him to lose everything. Even his loving family could no longer take care of him. “We had to let him fend for himself at that point,” Charlie said. Unfortunately, the streets were brutal and dangerous. Slowly Chuck’s health deteriorated, leading to him getting a colostomy bag and two open heart surgeries. Knowing that Chuck would die if he stayed on the streets, the hospital referred him to Father Joe’s Villages. Father Joe’s Villages often works to engage single adults who struggle with severe mental health, substance abuse or significant physical health conditions who have been homeless for more than a year. We use housing-first and harm reduction strategies that dramatically increase their overall health and well-being. Father Joe’s Villages provided Chuck with housing and intensive support delivered by a multidisciplinary team. Someone from Father Joe’s Villages visits with Chuck nearly every day encouraging his sobriety, attending to his medical needs and helping him establish a support network. Before, Chuck was drinking a half gallon of alcohol a day. Now, Chuck is sober, housed and independent. Every day, Father Joe’s Villages invests in the potential of people who’ve hit rock-bottom. We see the humanity in each and every individual we meet.